Covering art, design, fashion, music and lifestyle, Four&Sons brings together an eclectic mix of inspiring ‘dog-centric’ content to dog-lovers passionate about culture and creativity. Like most, we love fresh new content yet, Four&Sons is committed to bring you the best insight into everything dog-related, and that sometimes means looking a bit further back. Curated with a strong editorial approach and written by people who find dogs a constant source of inspiration. Cartoonist Rupert Fawcett is an old hat in the genre. 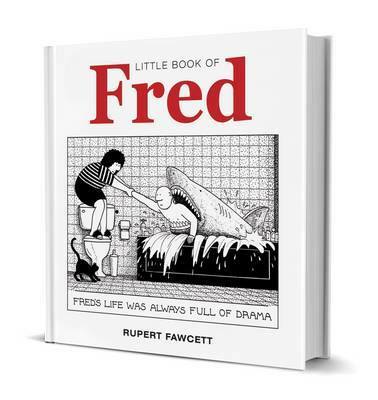 From his original fan-favourite Fred to his later works (following the birth of his children) on Daddy, his trademark wit and warmth is prevalent across the board. We spoke to Fawcett about how he got into animation, and his latest project Off the Leash. Why did you choose cartoon as your medium? I went to art school many years ago wanting to become a painter, but I also used to draw a lot of cartoon-type characters as a child as well. As an adult I started drawing cartoons again in my twenties and it is really the perfect medium for me because it gives me the combination of visual and verbal communication. I guess I am a cross between a writer and an artist and somehow one of those mediums on its own would not be enough for me. How long does a typical piece take and what is your process? I draw all my cartoons in pencil first, then draw over the lines in ink, then rub out the pencil and draw over the ink lines in ink a second time to give the lines a slightly uneven look. A cartoon can take between two and five hours depending on the complexity of the drawing. Can you tell me a little about Fred? Who is he based on? I am not sure who Fred is really. He is a combination of several things, suburban man, an inventor of ridiculous things like the ten-man spade, and a big baby. His life is also a combination of recognisable domesticity and surrealism. In an era of the South Park and Family Guy, it’s refreshing to see cartoons which are witty and cheeky but not gross. Is this something you have purposely set out to do or is it simply a reflection of your own sense of humour? My cartoons are not necessarily a reflection of the only kind of humour I like. I like dark, morbid ‘gallows humour’ and some very crass, vulgar humour too, but it doesn’t come naturally to me to produce that kind of stuff myself. I have found that a very small minority of my Facebook audience can be easily offended and they are quick to let me know about it, but they are always free to stop looking at my work. I certainly won’t allow anyone to restrict my creative freedom. Can you tell me about Off the Leash? 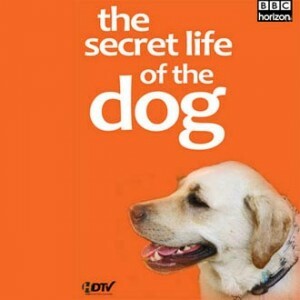 Is it based on your own pet? 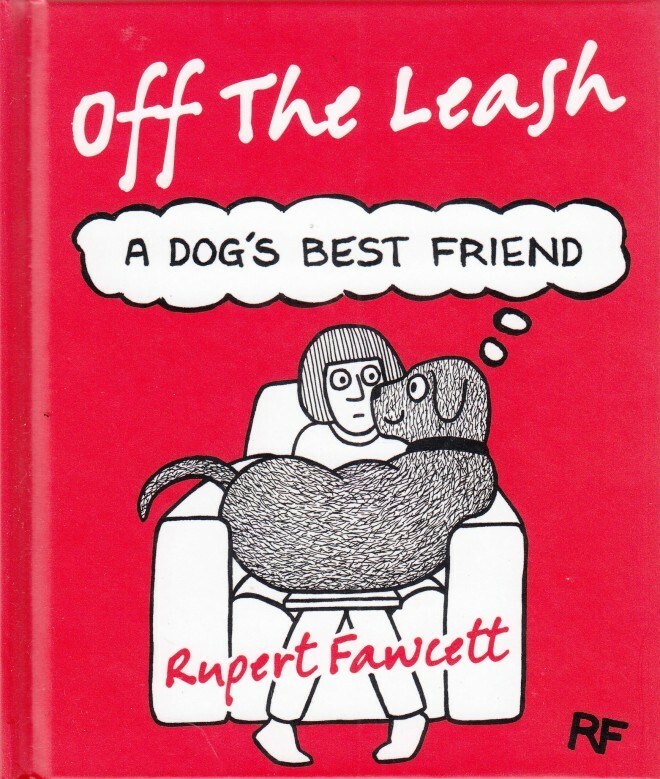 Off the Leash came to me simply because I started having cartoon ideas featuring dogs, then a while later some friends who work in social media told me that I should be putting my work on-line. I am not naturally a social media type of person so I needed encouragement and some help from my wife. I was pleasantly surprised by the reaction to my work and simply kept on going. 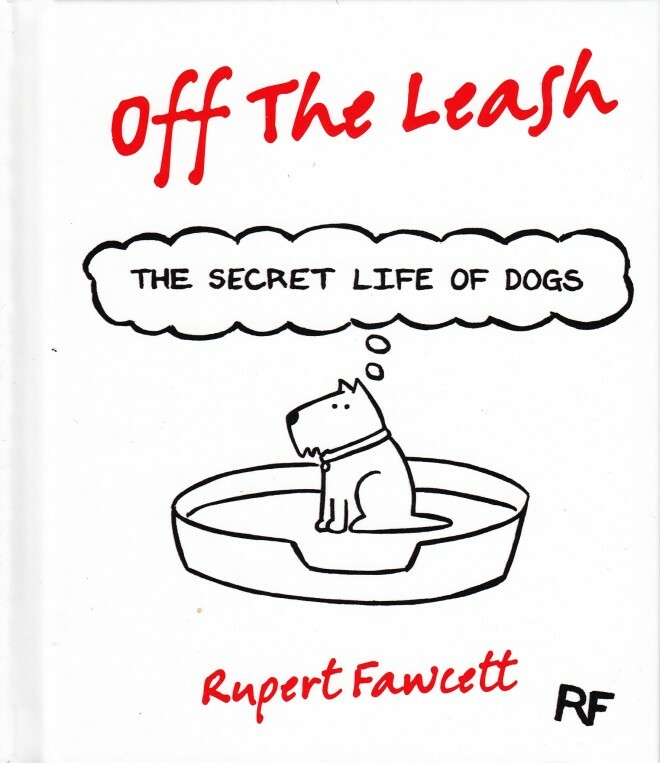 It has now taken over my life and the first book Off The Leash:The Secret Like of Dogs is being published this September. Off the Leash is your first work displayed via a Social Media. Social media is brilliant for an artist like myself, it is an audience at your fingertips. I can do a drawing and as soon as the ink is dry, scan it and post it on my page where it will be seen by thousands of people within seconds. 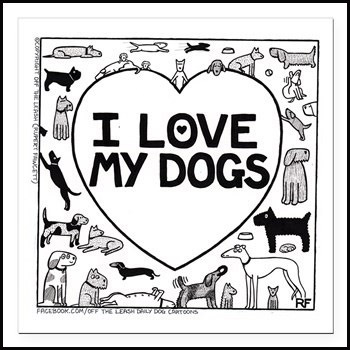 Also, I really do enjoy the interactions with my audience, I get sent a lot of very sweet, warm messages by lovely people who are passionate about their dogs and they send me very funny pictures of their dogs too. What’s next for Rupert Fawcett? I have the book coming out in a few weeks and later in the year I hope to be doing high quality signed, framed prints. In the future I think there is a good opportunity for animation, but I don’t feel ready for that yet, and I am incredibly busy.